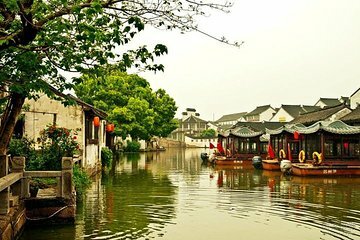 If you’ve already ticked off Shanghai’s top attractions, escape the city in favor of tranquil Suzhou on a private full-day tour of Tongli from Shanghai. Travelling by air-conditioned vehicle, you’ll visit the tranquil water town of Tongli, where winding canals and leafy boulevards contrast to the bustling streets of Shanghai. See, too, the Master of Nets garden, one of the Classical Gardens of Suzhou. Round-trip hotel transfers are included.